The background is a combination of stencils and stamped images overlayed with torn book pages. 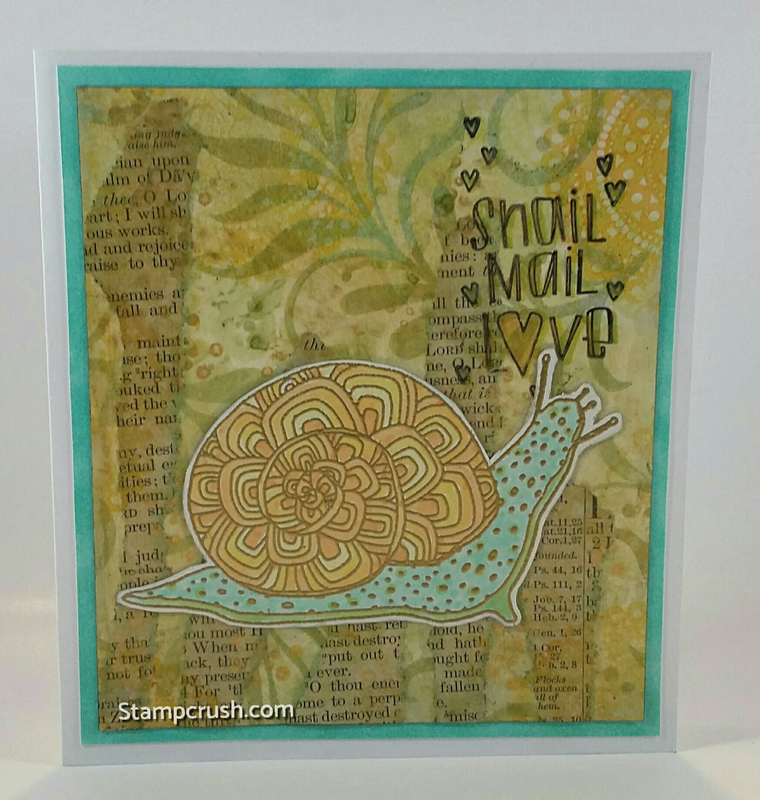 Create a background with stencils and stamps in your your desired color scheme. Tear pages from an old book and glue down using a matte medium. I use an old dictionary because it has LOTS of pages, small print and the pages are quite thin, making them easy to glue down. Stamp snail image on a separate piece of white paper and emboss with gold embossing powder. Color the image in with water based markers (I use Tombow water based markers). Stamp sentiment in open area and done! Gold Embossing Powder, I used a Mirror Gold. Various stamps and stencils. Look at your stash and get creative. Use subtle colors so your focal image stands out more.